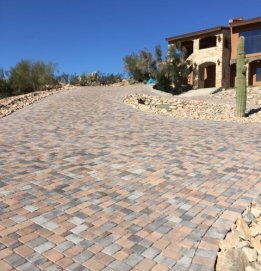 At Sonoran Pavers, our experience in the paving industry has allowed us	to build relationships with some of the top paving manufacturers in the	business. This means we carry only the best pavers to ensure our customers	are satisfied with their purchase. Along with our high-quality products,	our team also provides customer service that is second to none. We truly	care about our customers and want each and every one of them to love the	final product. 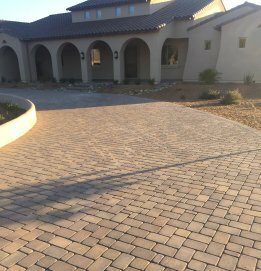 Depending on your budget and sense of style, we can help you select the	best type of Phoenix pavers for your home or commercial building. Our	extensive product line is designed to meet your economic, environmental,	and conceptual needs. To find out more about any of our products or services, please	reach out to our offices by calling (602) 326-5004 to schedule a complimentary estimate.